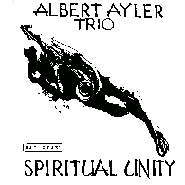 Tracks 1 - 4 released as Spiritual Unity, ESP (US) 1002, (Japan) MJ7101, BT5002, 15PJ2021, SFX10712, Fontana (UK) SFJL933, ESP Explosive (France) 538.107, (Europe) 858.122FPY, America (France) AM6000, ZYX-Music (Germany) ESP 1002-2 (CD),Get Back (Italy) GET1001 (vinyl), GET 1001P (vinyl picture disc), GET 1001CD, Calibre (Netherlands) ESPCD 1002, Abraxas (Italy) ESPCD 1002, ESP (US) ESPCD 1002 (re-released in 2005, containing previously unreleased photos). Also included in The Complete Esp Disk Recordings, Abraxas (Italy) ESP1. 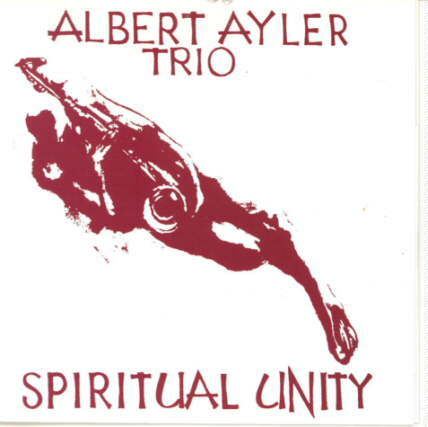 Tracks 1 - 5 released as Spiritual Unity (Special Limited Version 24K Gold), Venus Records (Japan) TKCZ-36010 (1996) and Spiritual Unity (50th Anniversary Expanded Edition), ESP (US) 1002 (2014). Personal Affair/ESP (US) PAESP-001 cassette release (2017). 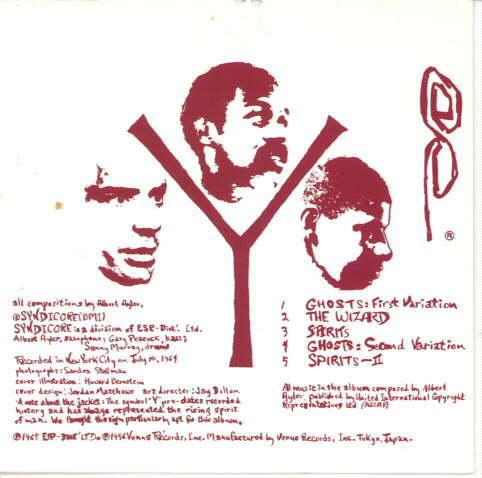 In fact, the second version of ‘Spirits’ is not an alternate take but a different tune entirely. 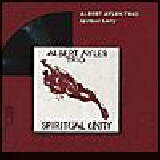 And, to confuse matters further, neither corresponds to the tune known as ‘Spirits’ elsewhere. 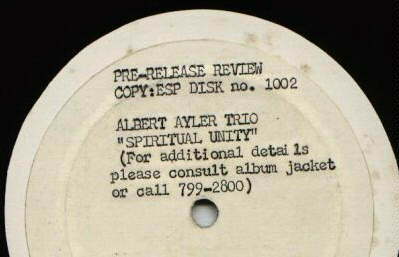 The first version of ‘Spirits’, appearing on the initial pressings of Spiritual Unity and subsequently referred to as the ‘alternate take’ corresponds to ‘Vibrations’ on Ghosts and The Copenhagen Tapes. 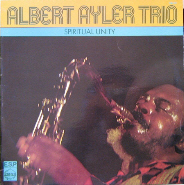 The second version of ‘Spirits’ which replaced the first on subsequent pressings of Spiritual Unity appears as ‘Saints’ on Witches & Devils and The Copenhagen Tapes. 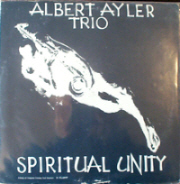 Christopher Trent sent me the label below and pointed out that some versions of Spiritual Unity (those emanating from the ESP West End Avenue address (1973-75) with the white figure on black background cover) add the subtitle, ‘(Transfiguration)’ to ‘Spirits’. 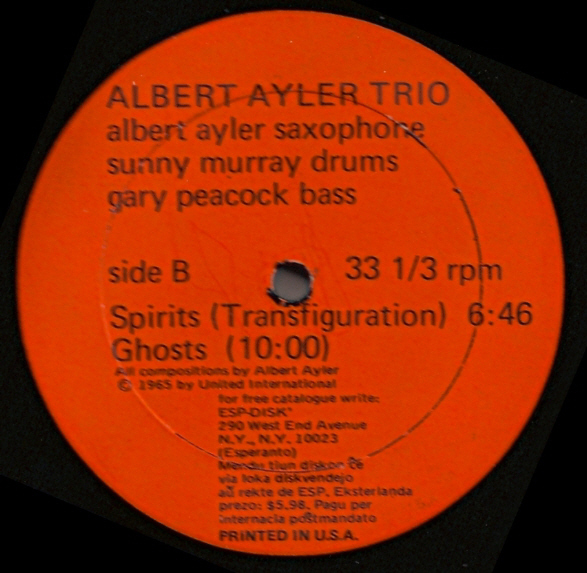 In November 2017 ESP issued a new vinyl edition of Bells with the ‘alternate take’ of ‘Spirits’ on its B-side. 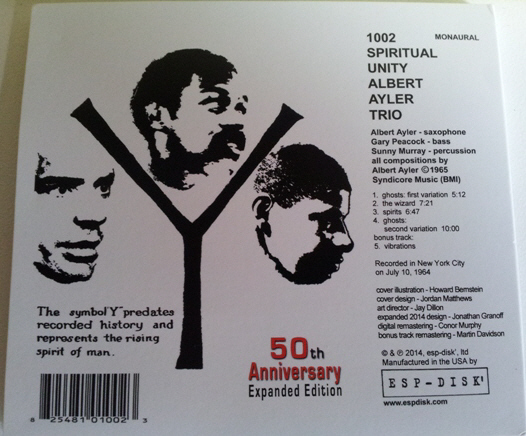 “1002: Several covers: one is the black-on-white, which has been used for the Get Back vinyl reissue, the other was inverted white-on-black. 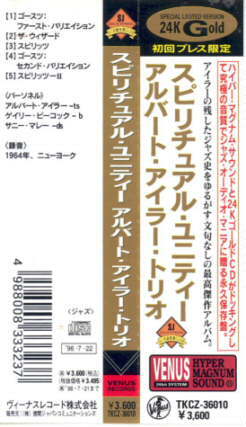 There is also a copy that has red graphics on a white jacket and 200 were pressed with black ink (possible silk screened) on orange jacket. 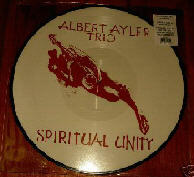 In July 2002 one of the original signed copies of Spiritual Unity was sold on ebay for $1,725. 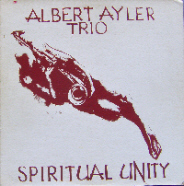 The pictures below show Albert Ayler’s signature on the sleeve and the record label.